It provides a smooth homogeneous surface to the roof. It provides fire protection as it creates compartmentation. 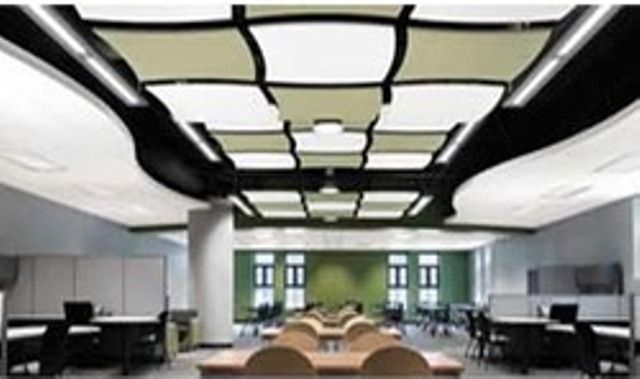 False ceiling helps in acoustical treatment. It conceals all the non-pleasing elements and hides it from the viewer’s eyes. It also hides the pipelines and the electrical cables running in the room. All the ducts of air-conditioning can be hidden under it. False ceiling materials are easy to install and cheap as compared to traditional roof systems. Also, the height of the room is reduced by the false ceiling. Gypsum is a soft, light weight hydrated sulfate of calcium. Earlier it was very laborious work to install a roof with the traditional methods, but with the advent of gypsum boards for false ceiling, it became easy to install and also cheaper. 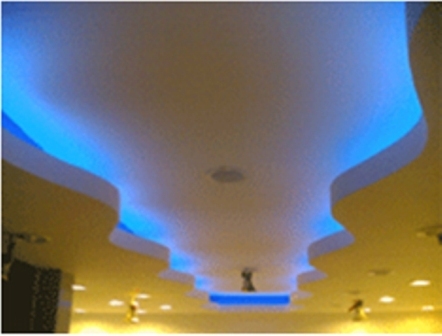 Gypsum false ceiling consists of gypsum boards that are being supported by iron framework. It is available in variable thickness and sizes as well. It is quite light weight and is easy to install. Metal is a very durable material. Besides it has shiny surface. The reflection and its shine add on to its beauty. 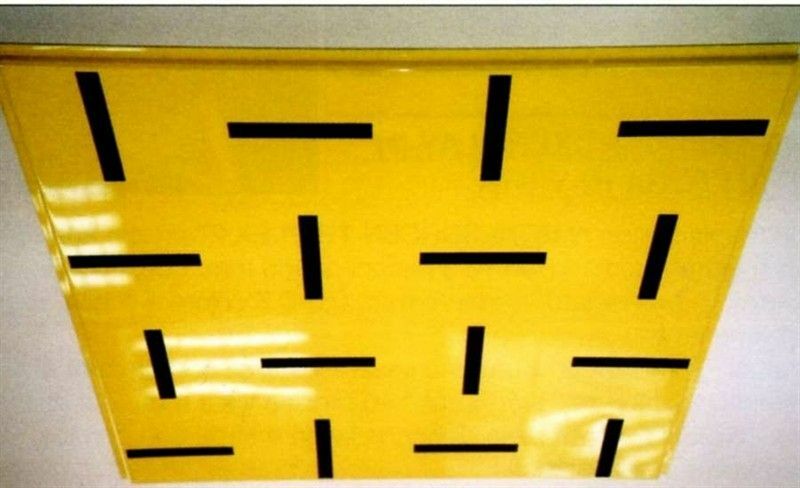 Metal sheets and plates of different sizes and thickness are available for the purpose of false ceiling. The metals mainly used for false ceiling are Galvanized Iron and Aluminium. Fixing and installation of the metal sheets is quite easy and consumes very less labor. Wood besides being a light weight material, also has its own texture and pattern. 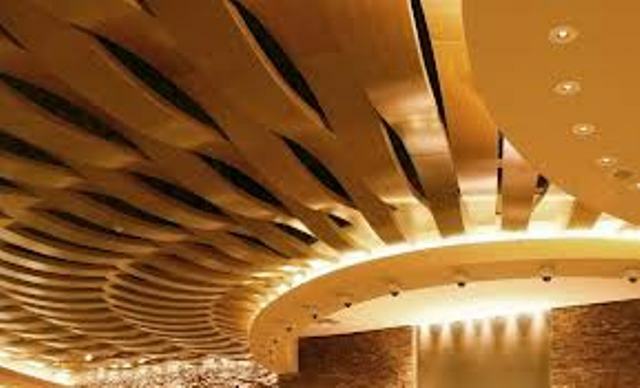 Wooden false ceiling is used very commonly these days and have a very pleasant impact to the viewers eyes. Hollow wooden blocks, or wooden panels, or wooden boards can be used to make a wooden false ceiling. Wooden blocks can be easily installed even with the help of nails and screws. Mineral fiber is a material developed by man made from natural or synthetic minerals. These when compressed to for a lot, are very good heat insulators as well as sound proofing material. These mineral fiber tiles are available in various shapes, sizes and patterns. These being cheap and quick in installation are in very high demand in the areas of false ceiling buildings. Glass is a non crystalline material. It has a general property of being brittle and transparent, but its properties can be altered by adding metal content and also adhesives to its composition. The glass being used is fiber glass for the purpose of false ceiling. Glass is an insulator and also is a fire retardant material. Glass false ceiling looks great on the ceilings and aesthetically they appear awesome. Synthetic leather and thermocol sheets are man-made materials being developed to provide aesthetic appearance to the interiors of the building. 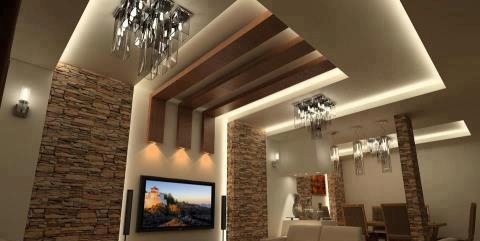 This type of false ceiling is not extensively used but is very light weight and is quite new. 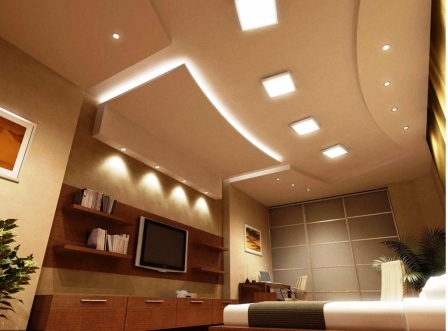 The most important feature of false ceiling’s beauty is cove lighting. It is an indirect form of artificial light. 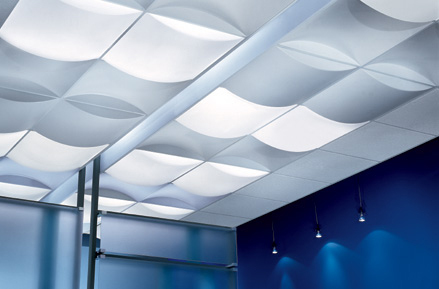 False ceiling besides imparting aesthetic appeal, is also very functional. Modern buildings, especially, malls, hospitals, and also residential buildings have developed the concept of false ceiling because it hides all the ugly members on the ceiling and imparts a smooth finish to the surface. It is not mandatory that only one material can be used for making a false ceiling design. Two or more than two materials can also be used. For instance, usage of combination of wooden and POP false ceiling is quite common. The increasing demand for false ceiling has lead many companies to establish especially to manufacture false ceiling designs. 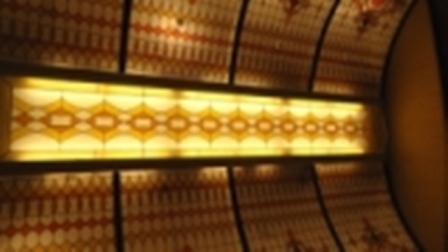 A lot of false ceiling design options are available in the market at present. 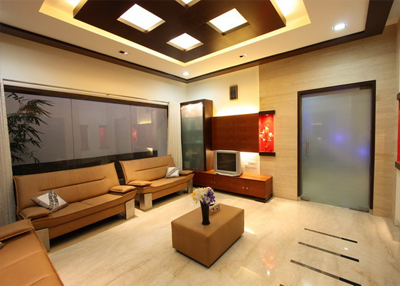 Please ensure the type of false ceiling and also the rates before choosing any particular type of false ceiling.